This is a fantasy novel and my first book by Seanan McGuire, and I’m already a fan. Middlegame is deliciously weird and fascinating. The library wait list for this book was ridiculous, but I’m finally reading it and it’s worth the wait. I’m not far into this, so I’m not sure what to think about it yet. It reads a bit like a dystopian novel. Global warming has reached a crisis point and drastic measures need to be taken to preserve life on earth. Review to come! Billy Jensen is a true crime writer and helped finish Michelle McNamara’s book (I’ll be Gone in the Dark) after her sudden passing. Chase Darkness With Me is about his investigative work on other unsolved crimes. I don’t think I’ll be reviewing this one. It’s essentially about the aftershocks in a family when a couple is suddenly arrested and their children go to live with other family members. I liked the concept, but felt a bit lukewarm towards the actual execution. 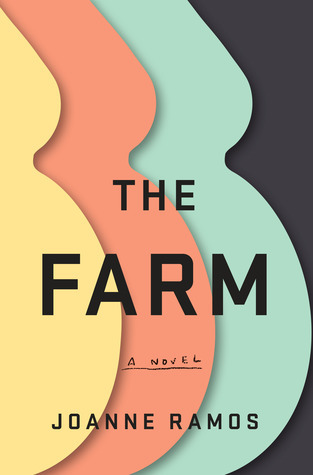 The Farm is about a facility serving up surrogate moms for hire to the super rich. The novel explores the idea of bodily autonomy and blurry lines of consent, privilege, etc. Read my review here. A novel about a young woman determined to make her way in the wilds of North Carolina, and the two men that will break her isolation open. For years, rumors of the “Marsh Girl” have haunted Barkley Cove, a quiet town on the North Carolina coast. She’s barefoot and wild; unfit for polite society. So in late 1969, when handsome Chase Andrews is found dead, the locals immediately suspect Kya Clark. But Kya is not what they say. Abandoned at age ten, she has survived on her own in the marsh that she calls home. A born naturalist with just one day of school, she takes life lessons from the land, learning from the false signals of fireflies the real way of this world. But while she could have lived in solitude forever, the time comes when she yearns to be touched and loved. Drawn to two young men from town, who are each intrigued by her wild beauty, Kya opens herself to a new and startling world–until the unthinkable happens. Nestled in the Hudson Valley is a sumptuous retreat boasting every amenity: organic meals, private fitness trainers, daily massages–and all of it for free. In fact, you get paid big money–more than you’ve ever dreamed of–to spend a few seasons in this luxurious locale. The catch? For nine months, you belong to the Farm. You cannot leave the grounds; your every move is monitored. Your former life will seem a world away as you dedicate yourself to the all-consuming task of producing the perfect baby for your überwealthy clients. Jane, an immigrant from the Philippines and a struggling single mother, is thrilled to make it through the highly competitive Host selection process at the Farm. But now pregnant, fragile, consumed with worry for her own young daughter’s well-being, Jane grows desperate to reconnect with her life outside. Yet she cannot leave the Farm or she will lose the life-changing fee she’ll receive on delivery–or worse. My thanks to Random House & NetGalley for sending me an ARC of this book in exchange for an honest review. All opinions are my own and are not influenced by the publisher. 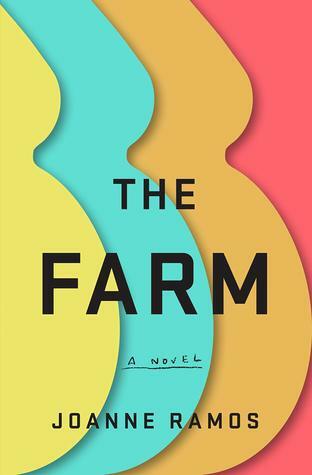 The synopsis for The Farm may have you expecting a dystopian novel of sorts, but the reality of the book is a lot closer to the real world than that. The Farm is less about government control run amok (à la Handmaid’s Tale) than it is about blurry lines of consent surrounding bodily autonomy. No one forces the women in this book to go to the Farm to carry someone else’s baby, and they are paid quite handsomely for their troubles. But Ramos clearly wants the reader to ask which women had meaningful alternatives on the table and which did not. Entering a contract with Golden Oaks involves handing over all of one’s own agency for the duration of the pregnancy. The women may be pampered at the Farm, but they sign an NDA, are unable to leave the premises, their internet activity is monitored, and they must apply for the privilege of visits from family members. The women who enter these contracts are overwhelmingly non-white immigrants with few other prospects. The novel switches perspectives between multiple women connected to the farm: Mae, the power hungry and wealthy woman running the operation, Jane, a young single mother and immigrant desperate for the paycheck, Reagan, an upper middle class white woman who signed up primarily to relinquish her financial dependence on her family, and Ate, Jane’s older cousin who helped her get her “job” at the Farm. The differing perspectives really highlight the points Ramos wanted to raise in regards to privilege, but the sheer number of perspectives presented their own challenge. While Jane was definitely the most developed, none of these women ever felt really fleshed out, making it difficult to connect to the story. The premise behind this novel is interesting and unique, and Ramos raises a lot of questions about agency and privilege. There was loads of promise in this book and there are moments that really shine, but the overall experience was just okay for me. No spoilers, but the resolution felt really lacking; the story skips forward several years for the epilogue, and the changes that have occurred in the interim feel unearned. All in all, this provides a lot of food for thought, but I wanted to love this book more than I did. 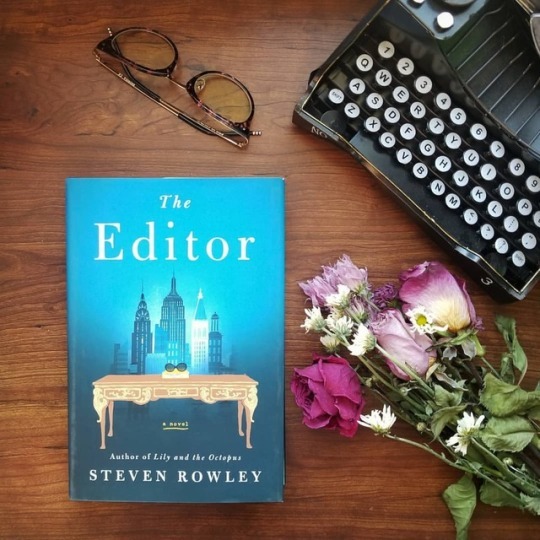 The Editor is Steven Rowley’s second novel, the first being Lily and the Octopus. Lily was a cute and sweet book, but a bit… odd, and I do have to say that The Editor feels like a big step up for Rowley as an author. Imagine entering into a working relationship with an unknown person only to encounter an absolute cultural icon like Jackie Kennedy. The Editor is in part about the slow shift that occurs between viewing someone like that as a concept and coming to know them as a human being. The protagonist, James Smale, is initially starstruck by Jackie, but throughout the course of working on his semi-biographical novel with her, necessarily bears his soul, and a sense of mutual affection grows between the two. It had me thinking of the slow shift between Monique and Evelyn in The Seven Husbands of Evelyn Hugo, so if that appealed to you as a reader, you’ll definitely find something to love in this book. The novel James is working through with Jackie is inspired by events of his childhood. To work out all the kinks in the story, he needs to reframe his thinking and work through some unresolved personal issues, primarily involving his mother. The Editor, despite the potentially show-stealing presence of Jackie Kennedy, is at its heart a family drama. Unresolved conflicts and a little nudging from Jackie eventually lead James back to his childhood home to confront his demons…. or his family, as it were. Rowley writes with such a sense of sincerity balanced with lighthearted humor. Jackie challenges James to address the truth behind his fiction and the result is emotionally raw and eventually heartwarming. The Editor is a story about the emotional vulnerability that is necessary for healing and the underlying humanity of those who seem larger than life. Rowley has definitely improved since his first novel, and The Editor is an absolute gem. I can’t wait to see what he writes next! Question of the day: If you were working on a novel and could have the help of any historical figure, who would you choose? Let me know in the comments! What’s this? I’m only reading one book? This may be a first for one of my reading updates. Haha. “Nestled in the Hudson Valley is a sumptuous retreat boasting every amenity: organic meals, private fitness trainers, daily massages–and all of it for free. In fact, you get paid big money–more than you’ve ever dreamed of–to spend a few seasons in this luxurious locale. The catch? For nine months, you belong to the Farm. You cannot leave the grounds; your every move is monitored. Your former life will seem a world away as you dedicate yourself to the all-consuming task of producing the perfect baby for your überwealthy clients. This one has kind of mixed reviews, and I think a big part of it is awkward marketing more than an indication of quality. Judging by reactions on GoodReads, it seems like a lot of people were expecting this to feel more like a dystopian novel or a full-on thriller (I kind of had the dystopian impression myself before reading), and it’s very much not that. The whole premise actually feels really ordinary in a kind of disturbing way. Don’t go into this expecting something that feels identical to The Handmaid’s Tale and I think most readers will like it. I just finished The Editor moments before writing this up, so I’m still gathering my thoughts on it, but I thoroughly enjoyed it! Steven Rowley is the author of Lily and the Octopus, and I honestly had really mixed feelings about that one. The Editor feels like a big step up. Review to come soon! Parkland: Birth of a Movement, by Dave Cullen. As I’ve mentioned before, I’m picky about what kinds of nonfiction I’ll review, and Parkland feels very much out of my comfort zone in that regard, so I won’t be posting a full review. That being said, I do highly recommend this book! I read Cullen’s Columbine book recently, and while it was clearly very well researched, the heavy focus on the perpetrators was off-putting. Parkland does not even name the shooter, and places the focus very much on the victims and their activism in the aftermath. The Last Mrs. Parrish, by Liv Constantine. This is another one I don’t feel like I can review. Too much of the plot was spoiled for me when I read comparisons between this and another book, so I went into it knowing exactly what to expect. Not a great reading experience for a mystery/thriller kind of book. Go into this one blind or not at all! My thanks to Doubleday Books and NetGalley for sending me an ARC of this book in exchange for an honest review. All opinions are my own and are not influenced by the publisher. The Invited is a super fun ghost story from Jennifer McMahon with an intriguing mystery to unravel. Helen and Nate abandon their jobs and the city life they know to build their own house in the woods of Vermont. 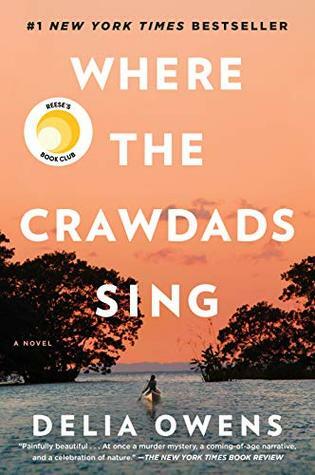 The setup is a bit tropey and cliche; unwelcoming backwoods locals clash with outsiders from the city, rumors of a buried treasure, and a marriage strained by supernatural occurrences. Both Helen and Nate become caught up in their own respective obsessions related to the haunting of their new land. I think the heavy use of familiar tropes made the ghost story feel cozy rather than overdone, and it made for a nice contrast to the creepier elements of the story. Helen’s background as a history teacher meshed well with her character’s growing obsession with the dark history of the land, and what starts out as a rather understandable fascination slowly begins to feel a bit sinister as the story goes on. The novel is compulsively readable and I flew through most of it in a couple of days. That being said, there were a few reasons for my middle of the road rating, despite enjoying a lot of the aspects of the story. There were a few moments of clunky writing that read more like a debut author or a rough draft than what you’d expect from someone with multiple prior novels, like McMahon. There’s a section of painfully unnatural dialog which was clearly only written the way it was because a character needed to overhear a key bit of information in order for the plot to progress. There are a few coincidences that strain the limits of credulity, and a plot twist connecting the modern story with the historical background of the land which can be seen from about a million miles away. This was a fun book, but it’s hard to call it anything more substantial than fun. Jennifer McMahon’s The Invited may be a great choice for fans of Megan Miranda and Riley Sager. Thank you for reading! What was the last novel you read with a ghost involved in the plot? Let me know in the comments!